As those in the Northern Hemisphere are emerging from the dark, icy thaw and are turning their faces toward the warmth and light of Spring, those in the Southern Hemisphere are preparing for winter. Whether you love it or hate it, there’s something about hunkering down for winter that teaches the importance of self-care. You stay home more, gravitate toward more substantial meals, and bundle up against the elements. But these lessons can be enjoyed during all seasons. They provide a refuge from the convenient, fast-paced culture so many face on a regular basis. If only you could discover lifestyle habits that can help you manage your stress and relish the present. The answer, in a word, is the Danish concept that has recently spread beyond Scandinavia: hygge. Pronounced “HOO-guh,” the word doesn’t have an exact English translation. Hygge is a mindset—a series of lifestyle choices, practicing deliberate moments of cozy comfort to improve your overall contentment and well-being. Another way of thinking about it: hygge is doing things that make you feel as happy as you do when you’ve just been warmly hugged by a loved one. There’s no one right way to hygge, but you’ll know you’re doing it right when you feel relaxed, unhurried, cozy, and cared for. 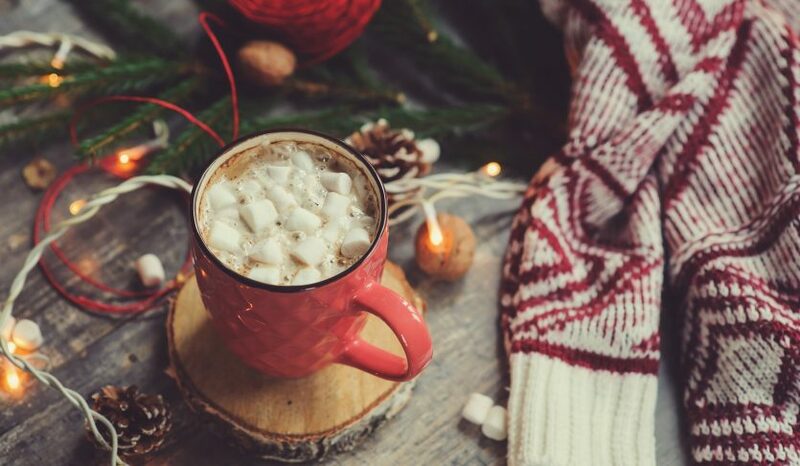 Because many of the activities most associated with hygge are synonymous with hunkering down during a blizzard, many view hygge as a winter term. However, it’s a lifestyle that can be embraced in all seasons. The point is to be gentle with yourself, and to engage in soothing, low-tech endeavors that make you feel good. And the Danes certainly know a thing or two about feeling good: Denmark was ranked first in the World Happiness Report in 2016, and was barely edged out for the top spot in 2017 by Norway. So, it’s worth taking a page from their book. Why is Hygge Catching On? The concept of hygge has been part of the Scandinavian way of living for centuries. But the lifestyle has become a full-blown worldwide phenomenon over the past couple of years. Why are people suddenly flocking to adopt such a simple way of thinking? A few reasons could explain why hygge is trending. As people get busier, there is a renewed understanding of the importance of self-care to our physical and mental well-being. We’re learning the hard way that a “go, go, go” lifestyle isn’t sustainable for long durations. That leaves us looking for outlets to relieve and manage our stress. But you can take only so many long baths and get so many manicures and pedicures before that routine starts to feel a little less special. Hygge gives you a variety of options for activities, so it can speak to what you need in any given moment. As a bonus, hygge actually encourages you to include others in your hunkering. This will appeal more to extroverts, who recharge their batteries better through social engagement than partaking in solo activities. Hygge costs virtually nothing and requires little effort or planning. Unless your wardrobe is lacking in the loungewear department or you don’t own a single candle, you’ll be using household items and food from your pantry to get your hygge on. The fewer things to stress about, the better. The focus of any hygge undertaking is not on material objects or wealth, but being fully present in a mundane moment and enjoying the small comforts of life. Hygge is practical. Unlike some other current lifestyle trends that require you to declutter your entire house or buy only organic products, hygge easily and sensibly can be fit into most people’s routines. It also provides sanctuary in the middle of real life—no Caribbean yoga retreats necessary. There’s a slice of peace that comes with giving yourself permission to just be comfortable, quiet, and a bit indulgent in a given moment. Sight: Flickering candles and a roaring fire provide a warm ambience and soften up a room. If open flames aren’t your thing, a string of lights or soft bulbs similarly bring more sweetness and romance to hanging out at home than harsh, overhead lights. Other good visual options are reading a book, enjoying outdoor scenery, or watching a movie. Things you shouldn’t feast your eyes upon when in hygge mode: Your phone, tablet, or laptop. Why are TVs OK but other types of screens aren’t? The higher-tech devices connect you to the outside world (think social media) in a way that removes you from the present cozy environment you’ve created for yourself. Hygge is synonymous with a digital detox, so turn your notifications to “Do Not Disturb” and snuggle harder under that blanket. Sound: Just as with sight, your aim for sound in a hygge context should be soft. Light background music (there are actual hygge playlists on Spotify and Soundcloud), meaningful conversation and laughter among family and friends, sounds of nature and the neighborhood heard on a walk, and even good, old-fashioned silence all provide comfort. Taste: Food and drink are a big part of the overall hygge experience. Warm beverages, wine, yummy and healthy treats, and hearty meals are staples. Stuffing yourself full of junk, however, is not true to the hygge lifestyle. What makes the experience comforting is the mindful indulgence of taking the time to enjoy not only the eating, but the process of making decadent foods from scratch. Simmer a stew on the stove for hours, bake homemade bread, or pop popcorn the old-fashioned way—and use a little bit of real butter! Then share the deliciousness you created with your loved ones. Bonus points if they also helped you in the kitchen. Touch: When people say they are cozy, they most often mean how they feel in a literal, physical sense. Hygge encourages you to cast all concerns of vanity and fashion to the wind and just wear what makes you feel warm and good. If you’d never be caught dead in public wearing those sweatpants (aka hyggebukser) or wooly socks, all the better. Throw your hair into a messy bun and kick off your shoes—but slippers are allowed, of course. To cozy up your environment, add pillows encased in plush fabrics—like flannel or velour—blankets, and at least one cushy piece of furniture. You can also add texture to your experience by reading printed books and magazines, embarking on a knitting project, or feeling the crunch of snow or twigs beneath your feet. Smell: Warm, sweet, and spicy scents are the bedrock aromas of hygge. Think comforting smells that trigger safe and joyous memories of the holidays (cinnamon, vanilla, and allspice), decadent treats (marshmallow, chocolate, and coffee), savory meals (chicken pot pie, meatballs, soups, and stews), and the night air (campfire, pine, and other pleasant outdoor smells). Your sense of smell has more power to invoke memories than any other scent, so choose what fills the air of your cozy environment wisely. Sure, you can hygge by yourself to get some soothing down time and the stress relief that comes with it. But one of the main tenets of hygge is enjoying the cozy seclusion with someone (or some ones) you care about. Hygge originated as a way to make it through the long, harsh Scandinavian winters without succumbing to starvation or depression. It would be hard to survive either without some help from your family and neighbors. But social relationships are important beyond the mere mechanics of basic survival. In fact, social support is one of the key markers that the World Report of Happiness uses—along with considerations like economic stability and workplace environments—to rank the life satisfaction of the globe’s nations. It turns out that having a strong social support network can make you feel more secure, increase your sense of belonging, and reinforce your feelings of self-worth. In other words, having a go-to group of folks who know and care for you actually helps you feel more like yourself. You know who you are best when surrounded by those who know you. Take any of the tips from above and bring loved ones into the fold: cook and enjoy a meal together; watch a few hours of TV or movies with someone special; have an in-depth discussion about a favorite topic while taking a long stroll. You can also hygge with a small group of your favorite people. Host an old-school game night where you play cards or board games (no video games). Small gatherings foster a sense of community, and creating real-world connections trumps texting or even video chats. It keeps you grounded in, and enjoying, the present. Have a picnic or backyard barbecue. You still get to indulge in hearty foods while enjoying the close relationships of a small party. Take your shoes off and feel the grass under your feet and the sunshine on your face. Breathe in the summer scents of melons and freshly cut grass. Take a nap in a hammock. There’s nothing more comforting and relaxing that lazing in the shade on a warm summer day. Swing gently in a hammock as you drift in and out of sleep without a care in the world. Hit up a local festival or farmer’s market. You’ll get the dulcet sounds of sweet local tunes, some low-key food and merchandise vendors, and mingling of like-minded folks—all hygge activities. Take full advantage of the produce. Buy or pick fresh flowers to put around your house, make a lively sangria, and share your garden bounty with neighbors. All of these endeavors will keep you blissfully present in the moment and reinforce the connection with yourself and those around you. Get cozy. Just because it’s hot and humid outside doesn’t mean you can’t get comfortable. Swap wooly socks for bare feet and knit sweaters for T-shirts and tank tops. Choose breathable linens and lightweight nylons. You can still light some candles or create a comfy nook full of pillows. Go outside. This is the best time of year to enjoy the outdoors, so live it up and make the most of it. Have a bonfire on the beach with friends or take a hike in the canyons, paddle a canoe on the lake, or ride a bike down the boardwalk. Soak up the sunshine and the happy mood of everyone around you. It’s still hygge. If you’re looking for a new way to practice self-care, manage your stress, and create more mindful moments in your busy life, learn a lesson from the happiness experts: the Danes. Hygge may seem hard to pronounce, but it’s very easy to implement into everyday life. Kids in the Kitchen: Tips for Cooking as a Family Healthy Home, Healthy Family: What’s Your Home’s Wellness Score?